Case Study: How Snapdeal went on to become India's top online marketplace from just another coupon website? Home > Blog > Blog > Case Study: How Snapdeal went on to become India’s top online marketplace from just another coupon website? Case Study: How Snapdeal went on to become India’s top online marketplace from just another coupon website? 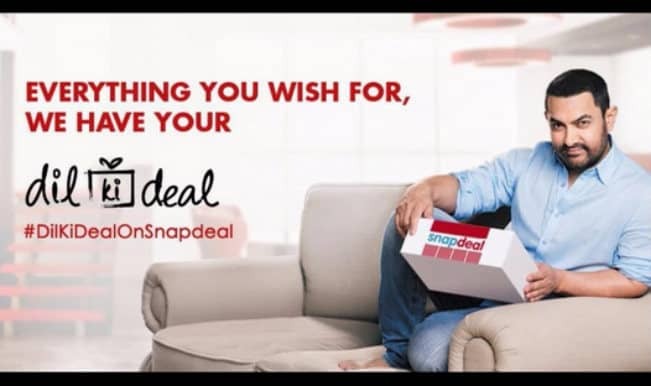 Snapdeal, founded by Kunal Bahl and Rohit Bansal, is an online shopping marketplace started in February 2010 as a daily deals platform inspired by groupon.com but expanded in September 2011 to become an online marketplace. It started as a member only website which gradually kept on growing to become the largest online marketplace in India offering an assortment of 12 million+ products across diverse categories from over 150,000 sellers catering to a user base of 25 million members.Snapdeal is now the second-largest e-tailing company after Flipkart in India. In 2010, when Kunal Bahl and Rohit Bansal wanted to start their own business, they chose an offline couponing business and named it MoneySaver. In three months only, 15000 coupons were sold and it was time to carry the business to the next level. They met investor Vani Kola but the first meeting did not worked well and after another round of discussion, Vani Kola’s venture capital firm decided to invest in Snapdeal. And it was the time for Snapdeal to take the journey to next stage. Initially started as an offline business, Snapdeal went online in 2010. It was a jerky ride in the first few months. Mistakes were made, but lessons were learnt too. However, the biggest decision of the founders came in November 2011when inspired by the success of Alibaba.com, Rohit and Kunal wanted to create something on similar lines. The Couponic and deals business was shut down and an online marketplace was opened instead. It was a make or break decision. Snapdeal had a huge market share in the deals business at that time and starting something new was very risky and this move surprised the investors too. At that point of time, eBay was the only marketplace in India. The actual fact that Snapdeal is valued at a billion dollars today is a proofto the vision of its founders. Currently, more than 150,000 sellers sell around 12 million products on Snapdeal. The company’s phenomenal growth in a short span has been a remarkable journey. The company began to concentrate on building scale and improving speed. When eBay invested in Snapdeal, they brought immense experience onto the table. In just two years, the company went from scrapping their group coupon business and starting an online marketplace to become a billion dollar company. Its year on year growth is almost 600%.The average age of the workforce at Snapdeal is 25. Their values – Innovation, Change, Openness, Honesty and Ownership drive them to press for greater success. The company’s growth had been phenomenal but it is their continued effort to bring the best to the market and their zeal to succeed as the best B2C marketplace is what sets them apart. Great ideas might be important for a business, but it is the confident implementation of those ideas and the right effort which are more important. It is action and not mere thought that gives results. A marketplace model like Snapdeal needs to ensure that technology integrations work seamlessly and this is what Bahl is trying to achieve constantly. The powerful model of local merchant & physical product e-commerce is something which is very unique to Snapdeal.com, and it gives the opportunity to provide wider variety of choice to the customers. Snapdeal is thus a very conservative company in making investments. Company culture is more about how to do more with less. Of a total of 210 million Internet users in India, 155 million users access the web through mobile devices. 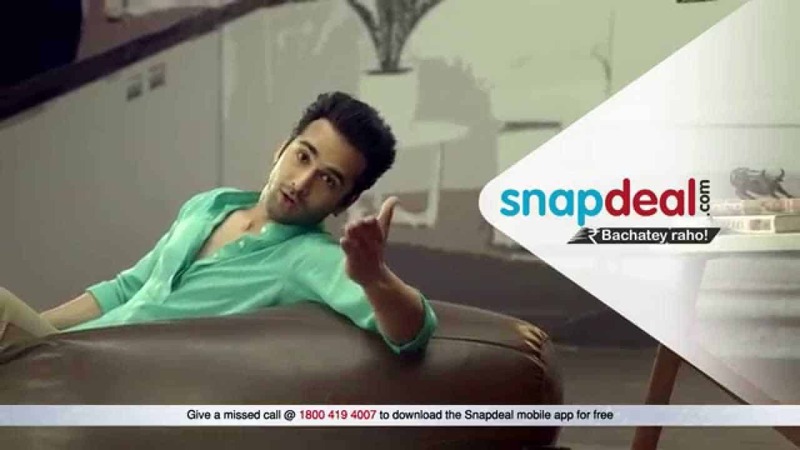 Like most e-tailing companies, Snapdeal has also its own mobile app. Indeed, few months ago, when mobile visitors to the site were just five percent of the total, Bahl and Bansal created a separate team for mobiles and urged it to compete with the PC team. This strategy worked in favor of the company and soon the mobile traffic climbed and the result can be seen in terms of orders coming from mobile. Now between 70 and 80 per cent of the orders come over the mobile. It is predictable that the figure will rise to 85 to 90 percent in the coming two years. “On mobile, the conversion is over five per cent, and that is 20 per cent higher than over PCs. It makes a lot of difference,” says Bansal. When launched, Snapdeal was first of its kind. When it was establishing its niche in the industry, websites like mydala.com and DealsandYou came as its core competitor. But working and focusing primarily on its goal, within 2 years, Snapdeal succeeded in making 8-9 million user base. They entered in top 100 Indian websites in terms of traffic. To further increase their members and traffic, they started referral programs on their websites in which a user was paid a fixed amount for successful sign up of a friend after receiving the referral link to use Snapdeal. Other than this, they started “Get your first deal free” offer which got huge response from the user side. 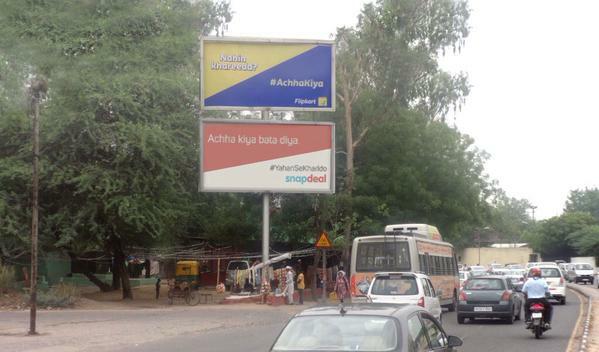 This led to the strong brand value of Snapdeal. Side by side to these strategies, affiliate marketing campaign was also working. This campaign was launched after 8-9 months of its inception. They started cost per lead (CPL) campaign in which the affiliates were paid Rs. 30 for each lead generated. But the problem was that the margin was very less related to cost per acquisition that was very high and the average revenue generated on each transaction was approx. Rs. 50-100. But Snapdeal knew how to remain in the market and for this they kept on promoting themself in any situation. After leads were generated, an aggressive email marketing campaign was launched to reach out those leads. Every day on regular basis, promotional emails were sent to the registered users. But it was not the end. The names like Myntra and Flipkart were entering the market at the same time. So to survive in the market, Snapdeal started to add more products listing into their website. Soon Snapdeal ventured into a proper e-commerce site including categories like electronics, fashion, kitchen appliances, apparels and many more. Finally in September 2011, Snapdeal turned into a marketplace. Flipkart launched its “Big Billion Day” offer in October 2014, and Snapdeal left no room for others to take its advantage. It introduced its own advertisement along with Flipkart showcasing users the advantage to shop with them. 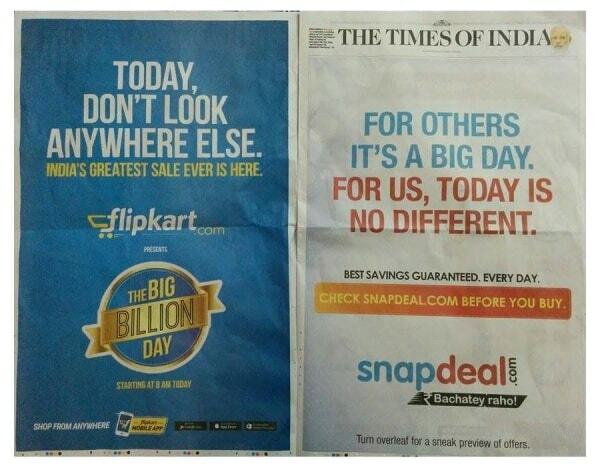 Again when Flipkart launched its new advertisement in June 2015, then also Snapdeal nailed it and created its own ad along with. Other than that, Snapdeal launched various television advertisements for promotion and bring organic traffic to their portal. 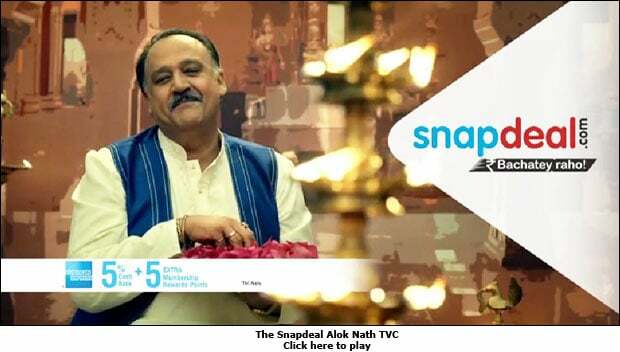 For promotional activity, Snapdeal used the face of many well-known Bollywood celebrities including Aamir Khan, Pulkit Samrat, Alok Nath and Krishna Abhishek. • Round 1: In January 2011, Snapdeal received a funding of $12 million from Nexus Venture Partners and Indo-US Venture Partners. from Bessemer Venture Partners, along with existing investors Nexus Venture Partners and Indo- US Venture Partners. • Round 3: Snapdeal then raised a 3rd round of funding worth $50 million from eBay and received participation from existing investors including Bessemer Venture Partners, Nexus Venture and IndoUS Venture Partners. • Round 4: Snapdeal received its 4th round of funding of $133 million on Feb 2014. The 4th round of funding was led by eBay with all the current institutional investors, including Kalaari Capital, Nexus Venture Partners, Bessemer Venture Partners, Intel Capital and Saama Capital. • Round 5: Snapdeal received its 5th round of funding of $105 million in May 2014. The 5th round included investments by Blackrock, Temasek Holdings, Premji Invest and others. The round valued Snapdeal at $1,000,000,000. • Round 6: Snapdeal received its 6th round of funding in Oct 2014 from Softbank with investments worth $627 million in fresh capital. This made SoftBank the largest investor in Snapdeal. • Round 7: Snapdeal raised $500 million in its 7th round of funding in August this year from Alibaba, Softbank and Foxconn. • In April 2012, Snapdeal acquired esportsbuy.com, an online sports goods retailer from Delhi. • In May 2013, Snapdeal acquired Shopo.in, an online marketplace for Indian handicraft products. • In April 2014, Snapdeal acquired fashion products discovery site, Doozton.com. • In December 2014, Snapdeal acquired gifting recommendation site, Wishpicker.com. • In January 2015, Snapdeal acquired a stake in product comparison website Smartprix.com. • In February 2015, Snapdeal acquired luxury fashion products discovery site, Exclusively.in. • In March 2015, Snapdeal acquired 20% stake in Gojavas.com. • In March 2015, Snapdeal acquired online multi-channel e-commerce order fulfillment platform, Unicommerce for an undisclosed amount. • In March 2015, Snapdeal acquired majority stake in RupeePower, a digital financial products distribution platform. • In April 2015, Snapdeal acquired m-Commerce payments firm Freecharge for an undisclosed amount. However according to some sources the acquisition was made for $450 million in cash and stock. • In May 2015, Snapdeal acquired Hyderabad-based mobile technology startup, MartMobi for an undisclosed amount. • Lots of awards and recognition as best startups, ecommerce etc. As of now, Snapdeal has over 150,000 sellers, shipping to 5,000+ towns and cities in India, offering more than 6,000 brands across 500 categories. It has 25 million of user base and adds a new product every 20 seconds. One out of every eight internet users in India is subscribed on Snapdeal, and the company is growing at the rate of 2 million new subscribers per month. Technology is the single biggest expense in the company. Every line of code in Snapdeal is written in-house as they don’t outsource anything and don’t use other platforms. The company is tapping customers in non-metros and tier-II and tier-III cities; 60 percent of its sales come from these areas, and Snapdeal is hoping to widen its reach. • E-Retailer of the Year & Best Advertising campaign of the year – Indian E-Retail awards 2012 organized by Franchise India in Feb2012. • Winner of Red Herring Asia Awards 2011. • E-commerce site of the year at WAT awards that took place in Jan 2012, Mumbai. • Voted amongst the Buzziest brands of India in Afaqs’s annual buzz-making poll.